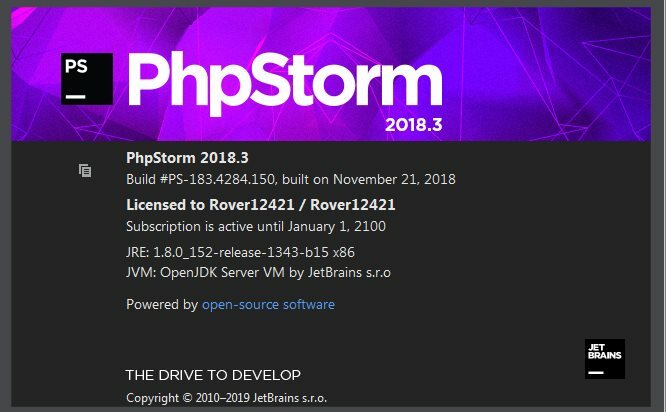 Experience The Drive to Develop with the second major update for PhpStorm in 2018. We are planning to deliver a number of cool features, performance improvements, and long-awaited fixes in version 2019.1. In the current build, you’ll find support for debugging Twig templates, fixing code style errors with PHP_CodeSniffer’s Beautifier and Fixer, the ability to sort use statements, a bunch of bug fixes and other improvements for PHP and the Web, and also the latest improvements from the IntelliJ Platform.